The FTSE 100 index of leading UK company shares finished the week at 5,196.81, down 20.80 points or -0.40% on the day and down 64.76 points (-1.23%) over the week. Congratulations to Philip Sullivan and Dermott Whelan of Informed Choice for passing their exams in the latest round of results for the Chartered Insurance Institute (CII) Diploma and Advanced Diploma qualifications. The Bank of England undertakes a quarterly survey of public attitudes towards price inflation. The latest survey was conducted in November, and the results have now been published. 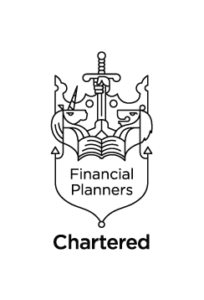 We are pleased to announce that Informed Choice has reached the shortlist stage for the Money Marketing Financial Services Awards 2010 in all three of the categories we entered, including the coveted IFA of the Year award. The National Association of Estate Agents (NAEA) has published its predictions for the UK property market over the next 12 months, and they make interesting reading. They think that house prices could remain flat, or even drop in some areas, for the first six months of 2010. Today saw the publication of a consultation paper on enhancing the professionalism of investment advisers under the Retail Distribution Review (RDR). The RDR is a regulatory initiative launched several years ago, designed to rectify failings in the retail financial services sector. An independent survey from the Financial Services Research Forum at Nottingham University Business School has found that independent financial advisers (IFAs) are rated by consumers as the “most fair” of the financial services professions. The inflation figures published today for the twelve months to November 2009 could signal the start of a short-term spike in price inflation. The Consumer Price Index (CPI) measure of price inflation was slightly higher than expected, with an annual rate of of 1.9%. This year it is expected that UK charities will miss out on £1.2 billion in donations because of tax-inefficient giving by donors. We have published a free 17 page special report with details and commentary about the main Pre-Budget Report changes to income tax, National Insurance, pensions, banker’s bonuses and inheritance tax, as well as implications for businesses.